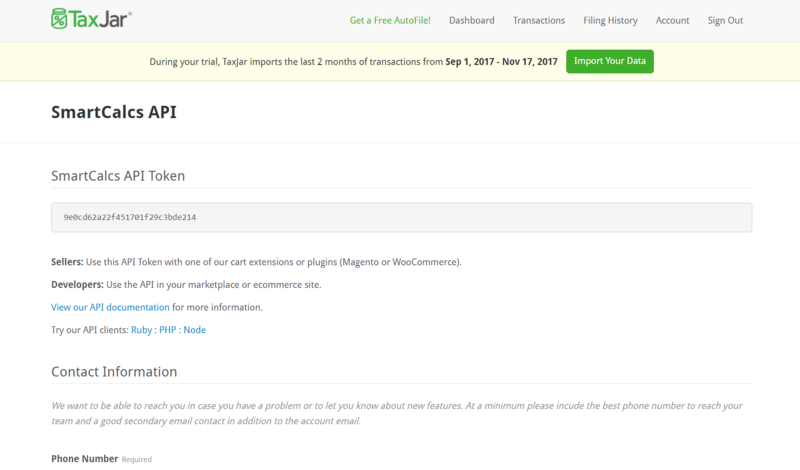 If you already have a TaxJar account, click here to go to your TaxJar Account page. 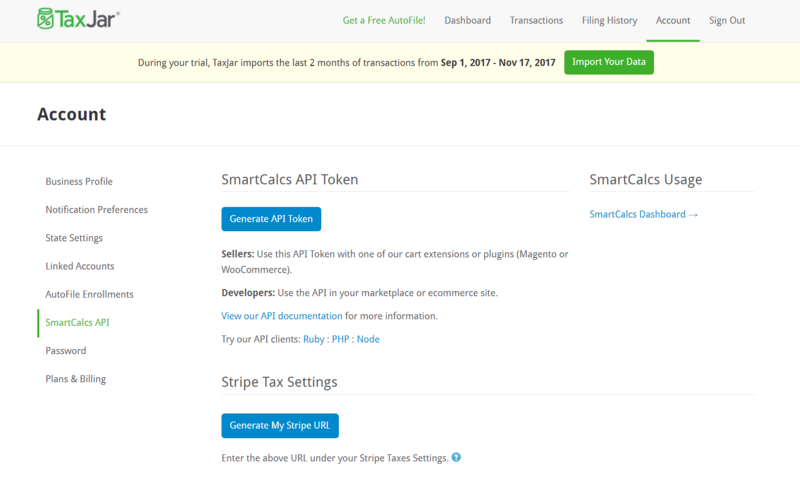 Click on SmartCalcs API on the left side of the screen, then click the button that says “Generate API Token”. Your API Token will appear within a few seconds. If you don’t already have a TaxJar account, click here to set one up. It only takes a few seconds!